It’s been a while since I’ve been meaning to show you the Customer’s Corner. 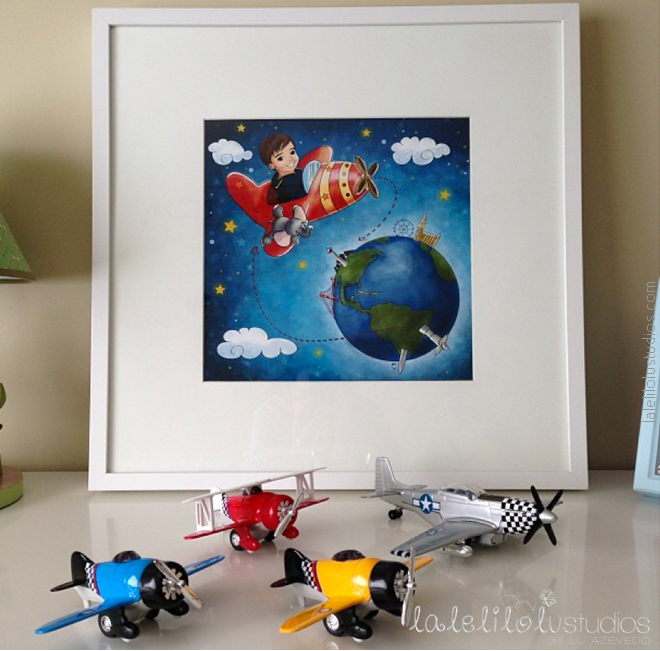 I just love when my clients take their time to send me photos showing illustrations I created decorating a room. My heart fills up with love and joy! 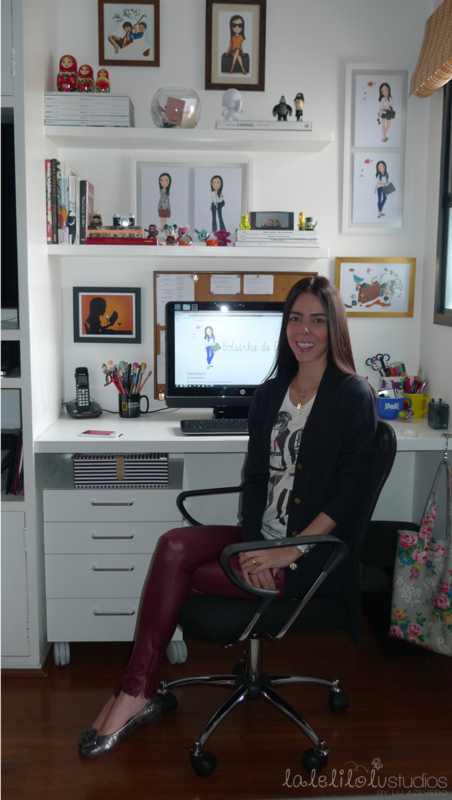 Look at Adriana’s office and tell me it isn’t one of the most beautiful and harmonic walls you’ve ever seen! And the best part is that every single print was a custom illustration I created specially for her throughout the last three years. Adriana is just starting a new venture as a Personal Stylist and I’m pretty positive that with a beautifully decorated office like this one, besides her talent, this business is going to be a success! 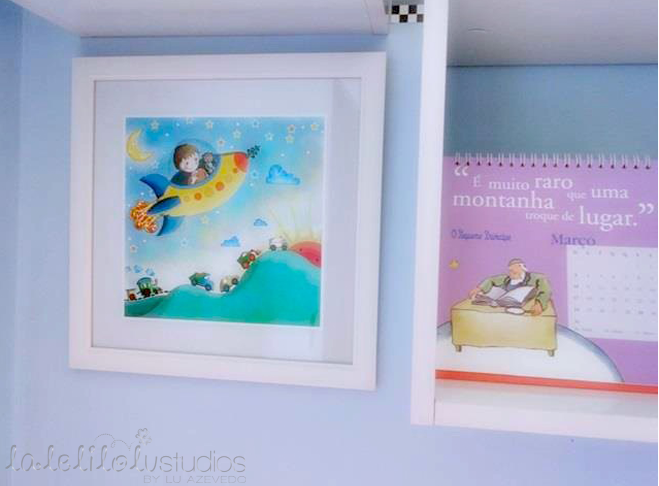 This is a photo sent by the adorable Anita in her room in Ouro Preto (MG, Brazil). 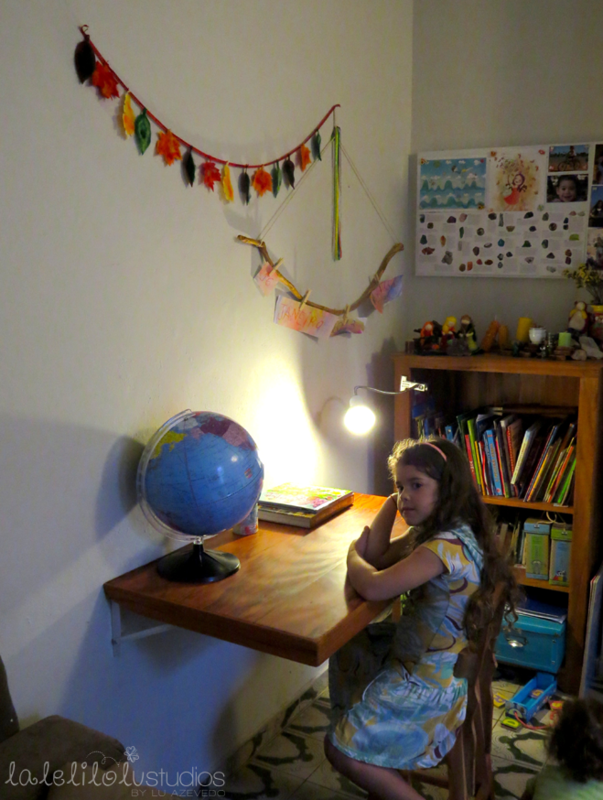 Look at the back of her room and you will see mu illustrations on her wall (this one, and this one). This illustration has travelled from Canada to Natal (RN in Brazil). And finally, here is an illustration for Eric, which I’ve shown here. And if you want to have a look at other illustrations being used to decorate parties, on t-shirts, wall decals and even stamps, visit the Customer’s Corner. And if by any chance you also have an illustration of mine hanging on your walls and want to send me a picture of it, I’ll sure post it here. Stay tuned because I’ll be showing more pictures of clients in the next weeks!